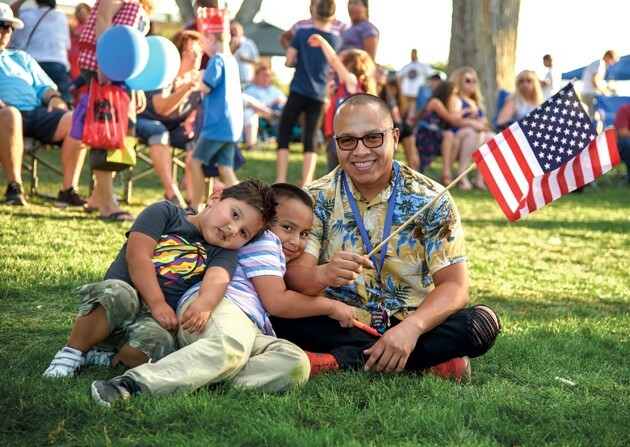 Orlando Reyes and his son and nephew, Dylan Reyes and Benjamin Apolo enjoy the entertainment Saturday night at the Tooele Latin Fest held at the Aquatic Center Park. Maria Alejandra Infante twirls in her performance dress Saturday night at the Tooele Latin Fest held at the Aquatic Center Park. Tooele City Police Officer Nick Cutler watches a game of darts with Saira Berumen. 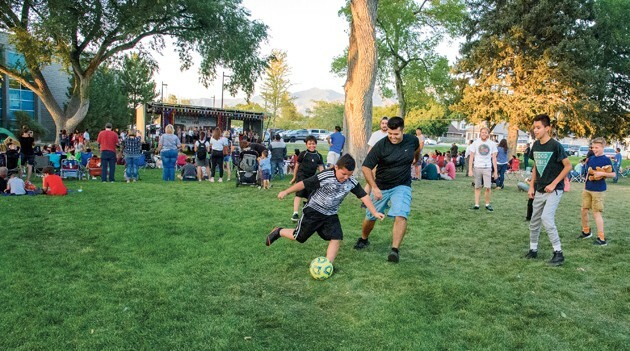 Hundreds of people enjoyed food, entertainment, and a game of soccer Saturday night at the Tooele Latin Fest held at Aquatic Center Park. 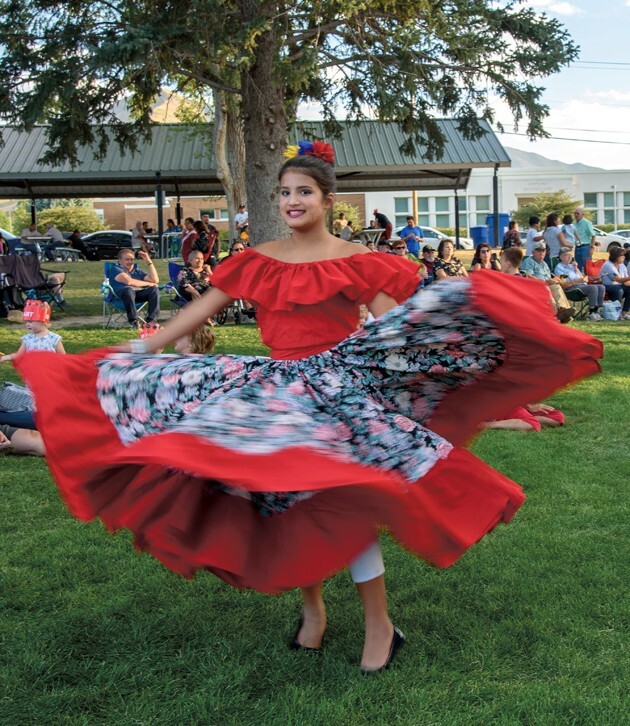 The first Tooele Latin Fest exceeded the expectations of its organizers with 800 to 900 people in attendance, according to Sidney Rasher of Hispanos Unidos de Tooele. “We had a huge attendance for a first-time event,” Rasher said. 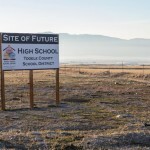 The television network Telemundo featured news about the Tooele Latin Fest on its website, she said. 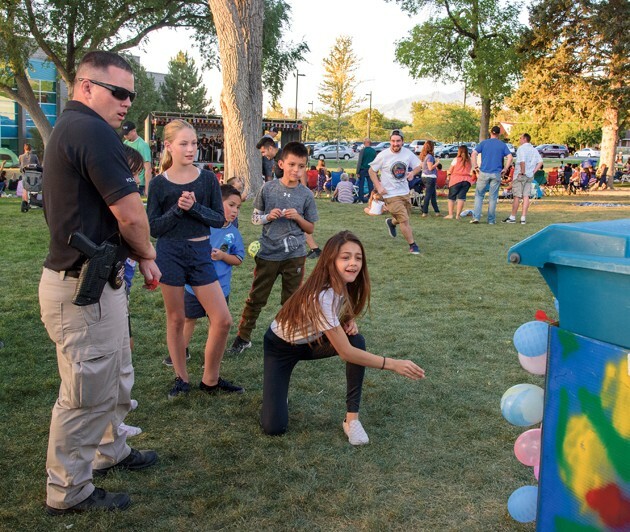 The festival ran from 3 p.m. to 8 p.m. Saturday at Tooele City’s Aquatic Center Park and featured about 35 booths providing information to Spanish-speaking residents about a variety of services in Tooele County. 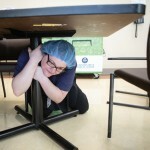 It also featured entertainment throughout the day. Tooele Mayor Debbie Winn opened the event with welcoming remarks and Hispanos Unidos de Tooele plans to hold the festival every year.